Will the economy grow in the next two years? President Trump had a plan to grow the economy when he took office — cut tax rates and get rid of many counterproductive regulations. It worked. The economy grew at a 3 percent rate last year, and employment grew to the point where there were more jobs available than workers to fill them. The world economy is slowing, particularly in Europe. This slowdown will have a negative effect on the U.S. economy as the global demand for U.S. goods and services will be lessened. The Trump administration needs a new economic game plan or growth will diminish. Without new pro-growth policies, economic growth will wane, for the following reasons. You may have noticed that there have been a number of people in the top ranks of the FBI and Justice Department — like Robert Mueller, James Comey and Andrew McCabe — who have had powerful jobs regardless of whether the administration is Democrat(Clinton/Obama) or Republican (Bushes). They are put there, in part, to protect the financial interests of the Washington establishment. The U.S. government dispenses tens of billions of dollars to foreign governments and entities each year, and Washington interests receive billions from foreign countries. 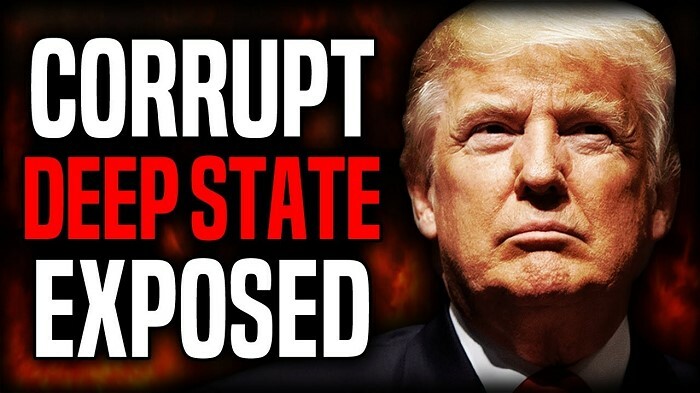 President Trump was an outsider who appeared to be willing to take on the corrupt status quo; so, in the minds of those on the international gravy train, he must be eliminated. Hence, the phony Mueller Russian-collusion investigation. There are dozens of examples, but the following three are illustrative. Last week, there was the pitiful scene of Gov. Andrew Cuomo of New York begging President Trump to restore a tax provision which unfairly benefitted New Yorkers. It seems that many high-income New Yorkers have been moving their tax homes to Florida, undermining the New York tax base. Those who live in New York City may be paying state and local income tax rates, in addition to the federal tax, of over 12 percent, giving some an overall tax burden of approximately 50 percent. 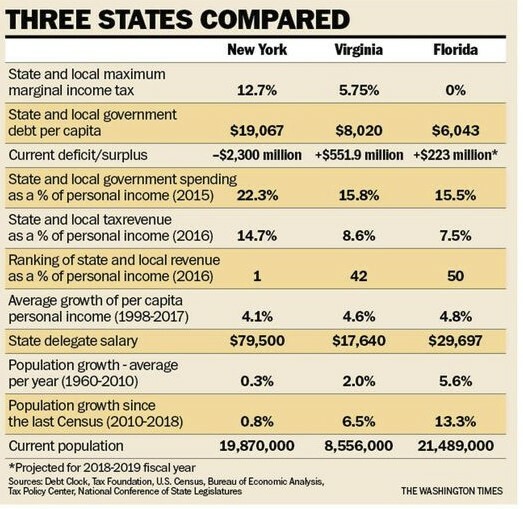 Florida imposes no state and local income taxes in addition to the federal income tax — yet Florida is booming, with a budget surplus, while New York is mired in debt. Only 50 years ago, New York had four times the population of Florida, and now Florida is larger than New York. “Mankind is doomed!” Headline writers have been writing that headline since the invention of printing — and someday it may come about. For about four decades, that headline has most often been applied to the threat of global warming. Every couple of years, some notable comes out with a pronouncement that the governments of the world only have 5 or 10 years to make fundamental changes or we are all toast. 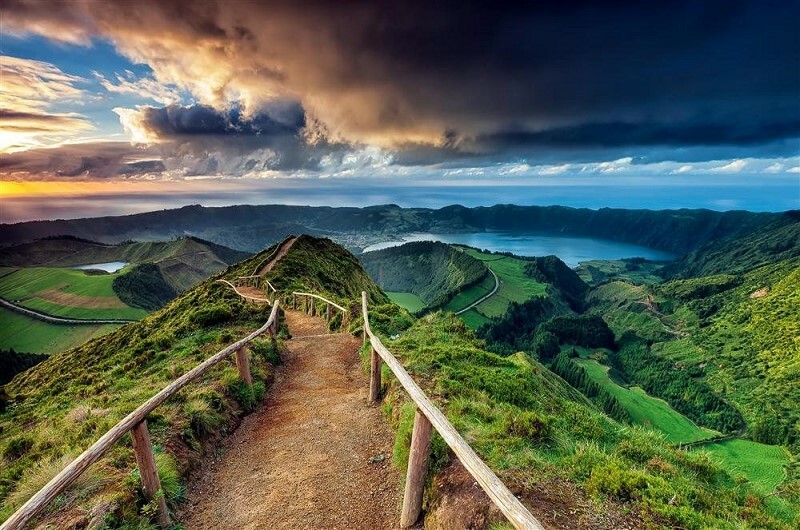 The deadlines come and go, without action, and most people carry on with life as they always have. Today, a number of Democrat politicians are telling us we have only 12 years to get rid of airplanes, farting cows and other hazards. Al Gore, of course, endorsed the policy proposals. Let’s thank them for sharing. 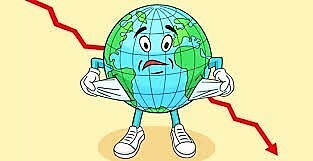 Meanwhile, there is a real crisis that is much more likely to adversely affect most people’s lives much sooner and with greater consequences than climate change, and that is the rise in government debt as a percentage of GDP in many of the major countries. These are the first words of Charles Dickens’ A Tale of Two Cities. They refer to the era of the French Revolution a little over two centuries ago, but they could equally apply to today. Times have never been better for most Americans. Incomes are at a record high. Jobs are plentiful. People are living longer and better due to both medical advances and increased prosperity. Yet despite the better life that the free-market capitalist system has enabled for billions of people, there are increased numbers of political voices and their media allies demanding socialism. 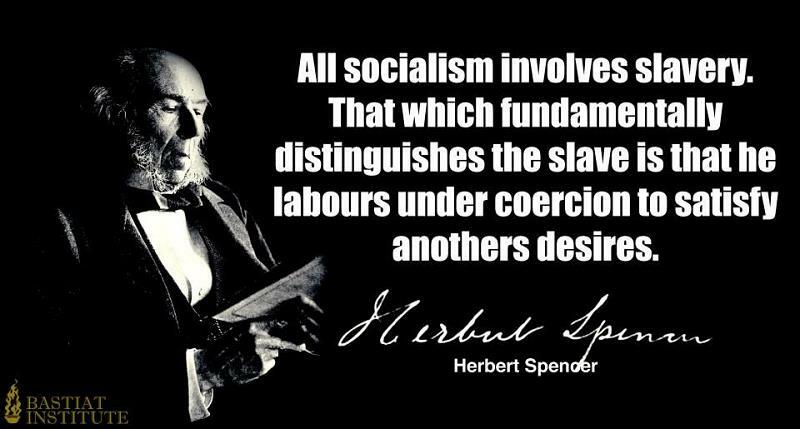 Given the centuries of failure and mayhem resulting from socialism, for all to see, the new socialists are treated as if their ideas are sensible, rather than ludicrous. Why would people choose foolishness over wisdom? Are they stupid, ignorant, mean-spirited, or all three? Yet, last week, special counsel Robert Mueller sent 29 highly armed agents in 17 vehicles to Roger Stone’s home in Ft. Lauderdale, Florida, in a predawn raid to arrest him. Such action smacks of the Gestapo or the KGB. CNN had been obviously tipped off by the Mueller people so they were there to film the raid. All of this was not only highly inappropriate, but a huge waste of taxpayer money. 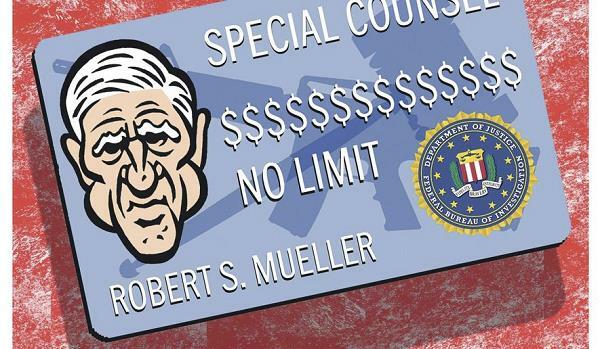 One of the many problems with the special counsel set up is that Mr. Mueller operates without a specified budget. He merely draws upon Department of Justice and FBI resources, including personnel, as he sees fit. Who is authorizing this and why? It's critically important to state that people such as Ms. Ocasio-Cortez are advocates of slavery, nothing less. My New Year’s wish for 2019 is for more of my fellow Americans and others to learn some basic history and try to get a grip on reality. One of her choice sentences: “But for slavery, genocide, and colonization, we would not be the wealthiest, most powerful nation in the world — in fact, our nation would not even exist.” Hmm. Both North and South America were colonized by European countries that practiced slavery, and the United States was not the last country in the Americas to abolish slavery. That would be Brazil in 1888. Ms. Alexander fails to explain to us why the United States became the wealthiest country, when the “genocide” she blames occurred mostly before the English colonization (that is, prior to the mid-1600s) and that slavery was common all through the Americas until the mid-1800s, not long before or after the United States abolished it. She fails because she failed to get a decent education. Zurich, Switzerland. 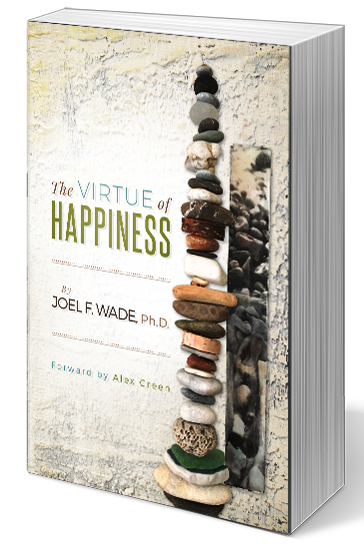 What do the Paris riots, Brexit, the election of Donald Trump, the dusky gopher frog, and Peter Wallison’s new book “Judicial Fortitude” all have in common? They are all signs that the peasants have had it with the bureaucratic state and the smug elitists who have been ruling the globe. Despite never-ending attempts to quash it, the basic human desire for liberty keeps re-emerging. Kings and assorted tyrants have attempted to rule their fellow man from the beginning of time. Democracy was created as a way of allowing the people to express their grievances and obtain change without violence. Constitutional republics, such as the United States and Switzerland, were created as a way of restraining government’s ability to diminish the liberties of the people. The forces of control retaliated by empowering bureaucracies to ignore the will of the people. Yet they seem impossible to stop smothering our freedom, much less get rid of them. How do we do this? There is a way. 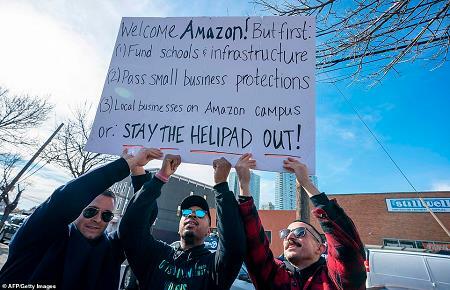 For those of us who live in Northern Virginia that is precisely what happened last week, when our state and local government officials announced with considerable fanfare that they had bribed Amazon — with billions of taxpayer money — to build one of its new headquarters in Virginia. New York politicians — notably Gov. Andrew Cuomo and Mayor Bill de Blasio — are even worse than the Virginians. They have not only paid more per promised job, but are giving Amazon benefits not available to existing businesses in New York. How is that for fairness? No wonder New Yorkers are protesting vociferously. How dumb is it to give bribes to businesses if they move into the state, which are financed by higher taxes on the workers and businesses that already live there? 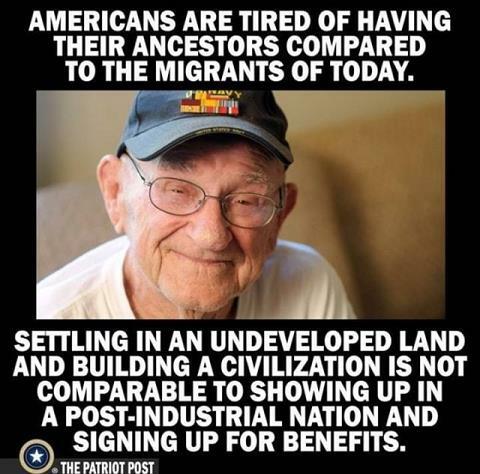 As I write this, there are so-called “caravans” of several thousand people coming north, primarily from El Salvador, Guatemala and Honduras with the intent of illegally invading the United States. Despite 200 years of independence, these three countries never developed the institutions and policies to give them prosperity and liberty. They are functioning democracies, but with considerable corruption. The United States, the World Bank, the Inter-American Development Bank, and other foreign and multilateral institutions have provided considerable foreign aid to these countries for decades, with the goal of making them sufficiently prosperous so their citizens would no longer desire to flee to the United States. These programs have not only failed but many times actually led to more corruption. There now appears to be a way out that is not dependent on enlightened and competent leadership or traditional foreign aid programs. 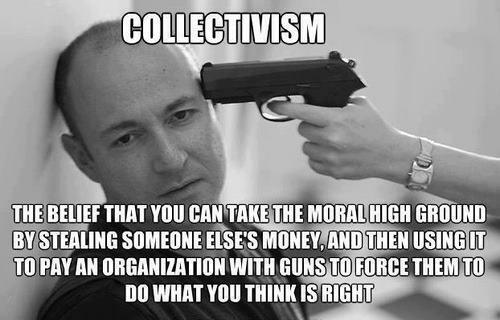 The modern idea of individual liberty and the right to own and control property is of very recent vintage. It was not until England’s Glorious Revolution in 1688 that as many as 12 percent of the English population actually had voting rights and clear title to property. 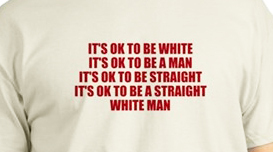 And it was not until the passage of the American Constitution in 1789 that property and voting rights were extended to all males (except for slaves) — which was unique for the world at the time. Democracy, liberty and property rights expanded in much of the rest of the world from the two centuries from the birth of the United States through the collapse of the Soviet Union in 1991. Unfortunately, there has been some retrogression in liberty and property rights in the past two decades as a new class of bullies has emerged in many parts of the world and the United States. Will China overtake the United States as the world’s largest economy? Perhaps, because it has about four times as many people as the United States. 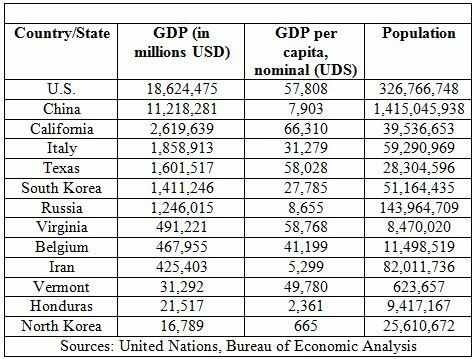 But U.S. per capita income will still be far greater unless China can institute a rule of law equal to that of the rich nations – or the rule of law continues to weaken in the United States. The level of economic prosperity is closely tied to the rule of law. In June, the World Justice Project (WSJ) issued its 2017-2018 Rule of Law Index. There are 113 countries listed. The United States ranks #19, while China ranks #75. The United States is no longer in the top 10 countries when it comes to the rule of law. The two main reasons are the administrative state – and corruption in the U.S. Justice Department and the FBI. Of which the Mueller investigation is Exhibit A.
Yellowstone, Wyoming. Why are bison no longer endangered? Yes, the park rangers here insist on calling them “bison” instead of buffalo. They don’t appreciate being asked if Bill Cody should be renamed Bison Bill. There are an estimated 5,000 bison in Yellowstone National Park owned by the government. An estimated almost 100 times as many, from 300,000 to 500,000, are in herds that are privately owned. A century ago, the bison was almost extinct in the United States, and only a few hundred were alive. Bison, like chickens and cattle, are now abundant because private owners are allowed to own them and sell the meat for food, as well as other parts of the animals. That is, the owners have a strong economic incentive to raise many healthy animals. There are a number of international organizations and U.S. government agencies that should be abolished because they both destroy wealth and liberty. Officials of the Trump administration understand the problem but do not have the ability to take the corrective measures because of the lack of political will in Congress to do the right thing. Given the situation, the administration has opted for the second-best choice, and that is to select highly experienced and qualified individuals to lead reform efforts in the organizations and agencies they have been appointed to head. Here are four examples – and note, all four of the President’s appointees are women. 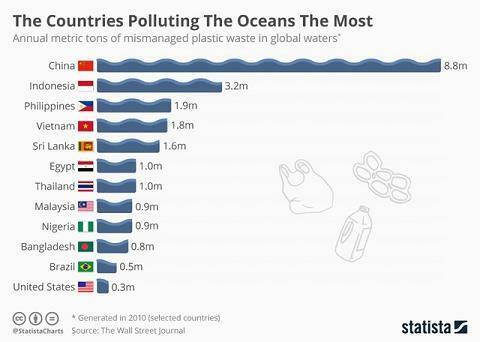 Two of the world’s biggest polluters are China and Russia. You would think that U.S. environmental groups would be major critics of these countries; yet, the reality is some take money from entities controlled by these governments and disseminate their propaganda. Over the last several years, many articles have been written (including mine on TTP here, here, and here) documenting how Russian groups funneled money into U.S. environmental organizations, which, in turn, was used to oppose fracking in the U.S. and the construction of new pipelines. The environmental groups used the Russian monies to lobby against U.S. consumers and support their Democrat allies. This past week (6/05), the Chairman of the House Committee on Natural Resources and Chairman of the Subcommittee on Oversight and Investigations wrote a six-page letter to the president of a major environmental group — the Natural Resources Defense Council (NRDC) — asking for information regarding its relationship with the Chinese government. It looks like the Chinese are copying the Russians with bribes to environmentalists to support their pollution. The problems with the existing government monopoly monetary systems are well known to most economists and financial markets experts; hence, the quest for alternatives to government monies in the search for stable money substitutes. 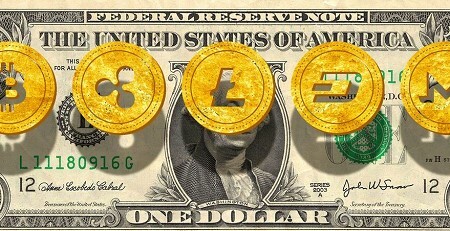 Cryptocurrencies, using tools like blockchains, appear to many to hold the greatest promise. The noted economist F.A. Hayek crisply explained why nongovernment money, such as those backed by a basket of privately held commodities, is likely to be superior in his landmark book, “Denationalization of Money,” published in 1976. Mr. Hayek wrote long before the Internet, blockchains and highly secure, easy-to-use encryption. With the new technologies, his arguments have increasingly become a practical reality. In 1914, just over a century ago, the average American worker had to work about three hours to buy a bushel of wheat. Today it takes five minutes. The Trump administration has been undertaking a massive deregulation effort in order to get rid of regulations that are counterproductive and do not meet reasonable cost-benefit tests. 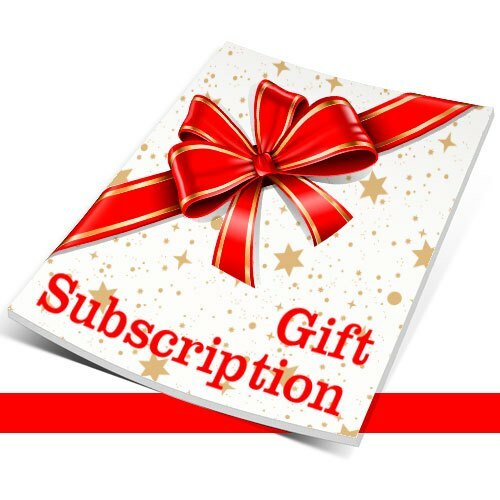 This will reduce the direct regulatory expenses made by government but will cause a far larger reduction in private business and personal expenses made to support regulations. Fuzzy and fact-free thinking are too kind as definitions for much of what has passed as public policy analysis this past week. The discussions regarding the Parkland school shooting, the Russian political investigation, and the immigration debate triply illustrate the problem. The FBI, the local sheriff’s office, the local school officials and the local mental health officials all had been made aware that the school shooter was likely to do exactly what he did. The so-called “assault weapons” normally are painted black and have a pistol grip as part of their design but are no more or less lethal than any other semiautomatic rifles — which have been standard hunting firearms for decades. This past week, 17 people were killed by a high-school shooter after the FBI failed to act on recent explicit warning messages. 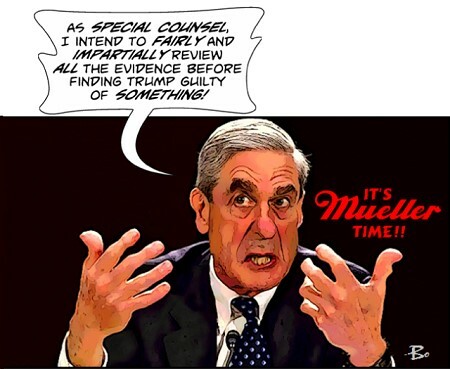 It could be argued that the FBI officials who failed to responsibly respond to the warnings may also be guilty of negligent homicide. 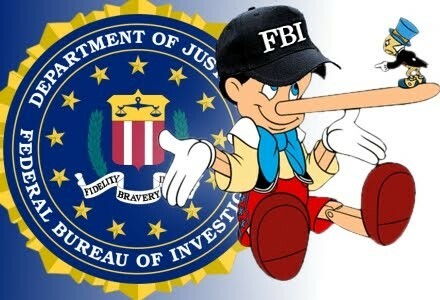 If the FBI were a private organization, the families of the Florida high-school victims would be able to sue both the organization and the individuals who failed to do their jobs for wrongful death. If the Justice Department and FBI were public companies, the SEC would likely prohibit them from investigating themselves, as is now happening. Neither the families nor the SEC can do this. Why? Why is it that those who have been right in the past are often ignored, while great attention is paid to those who have been wrong? His forecast was off by a mere $5 trillion (the rise in the value of the market since Election Day), and those who followed his advice are poorer — but Mr. Krugman still has his job, because he works for a fake news outlet rather than a profit-making investment group. The debate about climate change, the minimum wage and the proposals for tax reform illustrate why so many get it wrong. Yet rather than admit error, many forecasters and their media allies double down instead of lauding those who were closer to the mark. Why do you think? The folks in Washington have a knack for almost always asking the wrong question, and then coming up with an answer that makes things worse. The current debate about tax reform is a prime example. 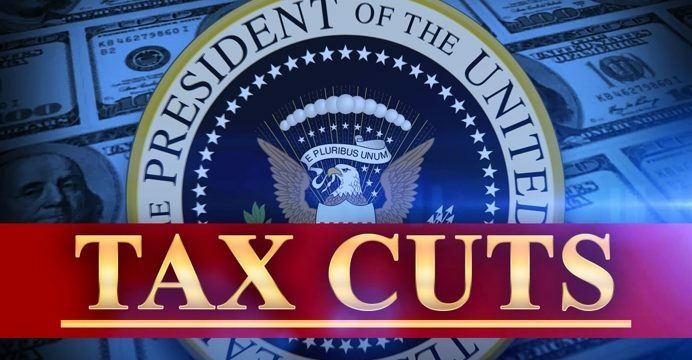 Many Democrat critics, some Republican critics (mainly from the conservative side), and many in the media argue that we cannot “afford” a tax cut. 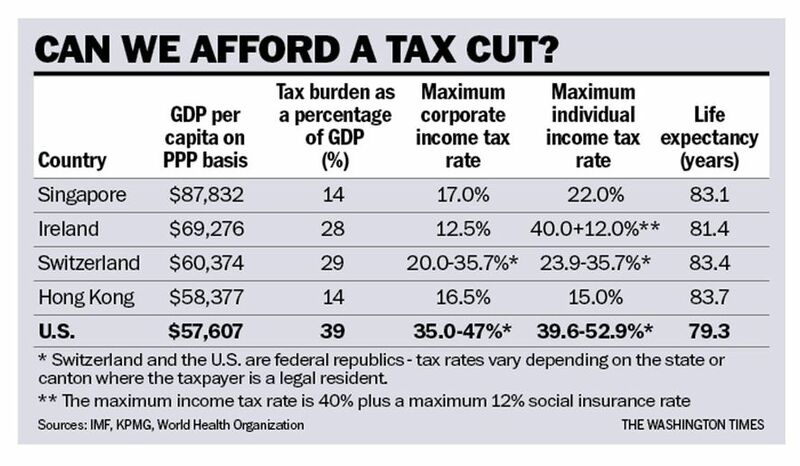 In reality, we cannot afford not to cut tax rates. Here’s why. There are a few actions one can take that have no downside, only an upside. Economists teach students, “There is no free lunch,” meaning an action that might be beneficial to some may well be harmful to others. An example would be an increase in the minimum wage, which is beneficial to those receiving it, but harmful to all of those who do not get jobs or are laid off because employers either cannot or are unwilling for competitive reasons to pay the mandated higher wage. Yet there are “free lunches” that result from merely stopping something harmful — e.g., eating too much sugar. There are many harmful government policies, such as regulations that have more costs than benefits. Thus, merely eliminating them will cause a net gain. 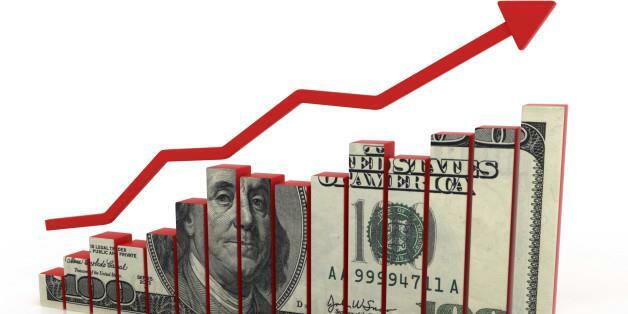 There are a number of taxes with rates above both the maximum revenue-raising rate and the growth-maximizing rate, notably the tax on long-term capital gains. Which is why President Trump’s tax reform features it. Are government-created institutions so out of control they’ve gone rogue? For the truth is that many hide scandalous behavior behind noble causes. Government institutions become particularly dangerous when they have police powers or sufficient funds that they can spend to threaten or intimidate critics. They often create walls to protect their own, including members of the media who receive favors in one form or another by looking the other way or attacking those who have the audacity to raise legitimate concerns. 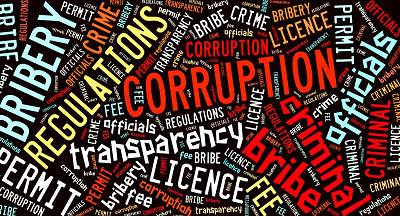 These corrupt members of the governing class not only reside in Washington, but in Paris, Brussels, Moscow, Beijing and numerous other places, from where they collude globally. It’s a Global Swamp that has to be drained. 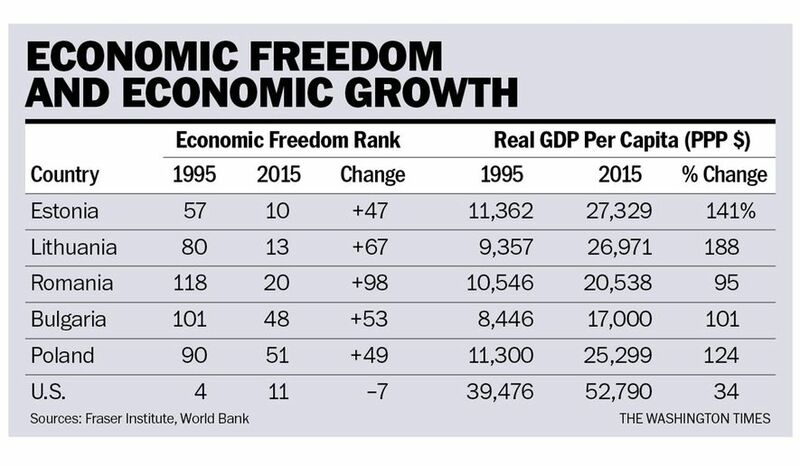 Once again, there is more evidence that economic freedom leads to success. Many of the former communist countries of Central and Eastern Europe and the Soviet Union have made enormous economic progress from the time they became free almost three decades ago. The first few years after the collapse of communism (1989-92) were very difficult as the countries struggled to make the transition to a capitalist free-market economy, which many had largely achieved by 1995. The irony is there are some lessons for the United States from some of the successes of the former communist countries. Here they are. What do you call someone who keeps making the same mistake over and over and fails to learn from others who have made a similar mistake? If one doesn’t know history and basic math, and the fact that people adjust their behavior on the basis of incentives, then one should not prove ignorance by commenting on the likely effects of tax changes. Much of commentary on the President’s proposed tax cut legislation leads one to think that 1980s never happened, and the basic laws of economics have been repealed. It should be easy to understand that a percentage change in a tax rate and a percentage change in tax revenue are not the same thing. Many in the media appear to be know-nothings either because they are or they have a political agenda. Here’s why they – and the Congressional Budget Office – are stuck on stupid. The disastrous hurricanes that struck Puerto Rico might provide the excuse for the necessary, fundamental reform on the island. 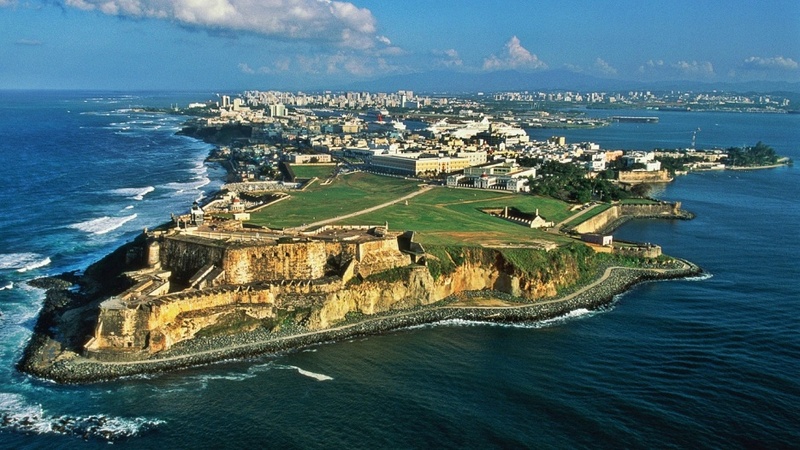 Puerto Rico has spent most of the past 12 years in recession, leading to its current bankruptcy. The bankruptcy was caused by gross fiscal mismanagement over the last few decades. Only during the term of Gov. Luis Fortuno (2009-13) was any serious attempt to right the ship, but Mr. Fortuno was ultimately defeated by the government unions. Puerto Rico now has a federally appointed oversight board to try to sort out the mess. The task was difficult before the latest hurricane, but now it will require even more radical measures. Here’s what’s needed to rescue Puerto Rico. Why do so many embrace a system — socialism — that has always failed, whether it was a form of state socialism or the various utopian communities started in the United States and Europe over the last couple of hundred years? In contrast, government socialism is coercive and denies the fundamental right to opt out, no matter how repressive or incompetent it becomes. This is what Bernie Sanders wants. 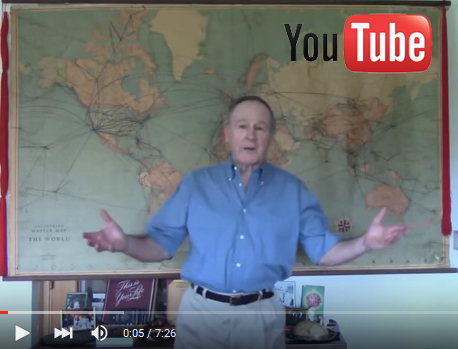 Let’s review the steps by which he and his ilk are taking to achieve it. 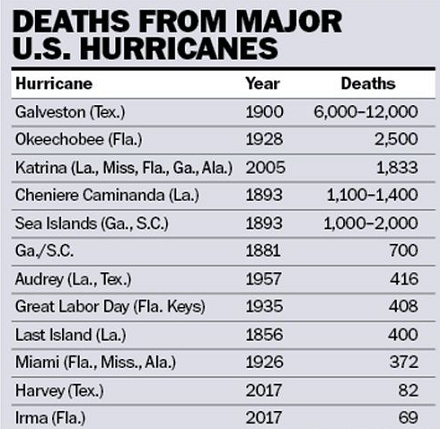 Hurricanes Harvey and Irma were as powerful as the big South Florida hurricanes of 1926, 1928, and 1935, but the death toll was very small compared to the earlier hurricanes in the area, even though the population is now more than 10 times the size. The Great Galveston hurricane of 1900 is estimated to have cost 6,000 to 12,000 lives. The hurricanes that have hit the U.S. in the last 50 years have resulted in relatively few lives lost, with the exception of Hurricane Katrina where an estimated 1,833 died. The reason so few people die now is the better forecasting, the development of weather satellites, and much better infrastructure. The Katrina disaster was not the fault of the weather forecasters but the fault of state and local government leaders. Since the end of the last ice age about 8,000 years ago, sea levels have been slowly rising at about 1/8 of an inch or 0.3 centimeters per year (i.e., a foot every 120 years). The rise in sea levels has been slow enough that it has been easy for mankind to adapt. 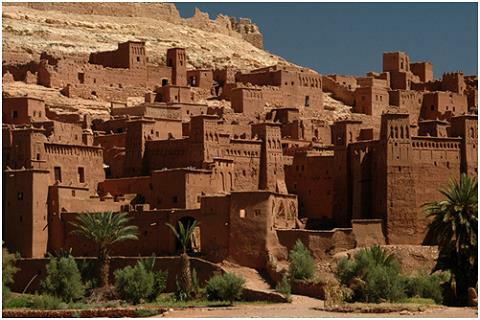 Most buildings and infrastructure are rebuilt every 30 to 70 years, so building the new structures higher is done as a matter of course. Despite the alarmism coming from some, there is no evidence that sea levels are rising faster than the historic rate – nor has the Arctic ice cap melted, nor has the Earth’s temperature risen at the rate forecasted by virtually all of the major climate models. Have you ever known someone who was exceptionally smart, very personable and highly accomplished, but was not particularly good at managing a large number of independently minded people? I have. His name is Paul Ryan. 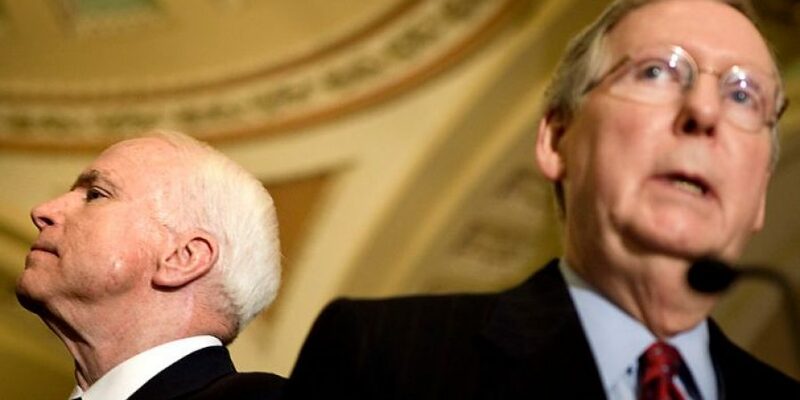 President Trump, who is not as nice as Mr. Ryan but a get-it-done fellow, made a deal with the Democrats, which would have never been necessary if Mr. Ryan and Mr. McConnell had done their jobs. Students, members of the military, and workers in the private sector are usually penalized, or worse, for not meeting critical deadlines. Why should members of Congress and their leaders get a free pass? 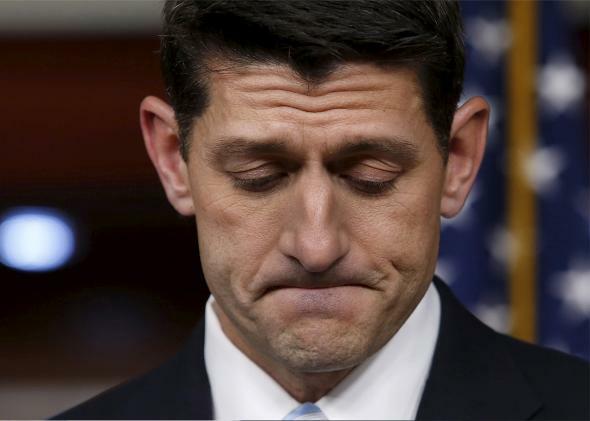 Both Mr. Ryan and Mr. McConnell are too beholden to the traditional way of doing things, unlike their opponents. How much should corporations pay in taxes? 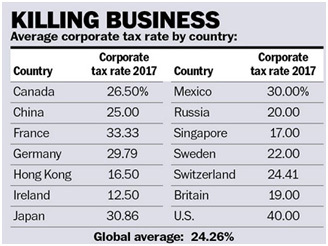 The table shows average corporate tax rates by country. You will notice that the United States has by far the highest tax rate. The U.S. corporate income tax rate is comprised of a federal rate of 35 percent and an average of 5 percent for the states, giving an average 40 percent rate. The corporate tax has long been recognized by economists as one of the worst taxes. Despite all of the talk about “greedy corporations,” corporations are merely a way of doing business. The corporation does not “pay” the tax, only individuals pay taxes — so the corporate tax is passed along to consumers in terms of higher prices, to the stockholders in terms of lower dividends and capital gains, and to the workers in terms of lower wages. President Trump has presented several very sound principles for tax reform. Yet, without the details being presented, the tax reform effort is already being attacked by the Democrat leadership. Reasonable people can differ about how much to reduce the corporate tax rate, but to claim that any corporate tax rate cut is a giveaway to the rich is merely an appeal to ignorance. It is a safe bet that everyone reading this column had an ancestor who was either a slave or slaveholder. It is also no coincidence that the effort to abolish slavery on a sustained and global basis did not occur until after the advent of the industrial revolution. Persistent slavery can be found in all cultures once people ceased being exclusively hunter-gatherers. Slavery was in fact “normal” until recent times. Sudan became the last country to legally abolish it in 2007 but, although illegal, it continues to be practiced in some countries. In most countries throughout history, the slaves were often of the same race as the slaveholder. In the antebellum South, most whites were not slaveholders, and some American blacks were. Well before the Revolution, there were some white slaves — mainly Irish — that the British had brought to America. Slavery in other words, like most things in history, was a complex institution that differed from time to time and place to place, and to criticize and vilify our ancestors for not having today’s values is not particularly useful. Is more inflation desirable? Those at the Federal Reserve seem to think so, and they have explicitly said their target is 2 percent, or about double the current level. Why would they argue for a further erosion of the purchasing power of the dollar? It is on the misguided belief (i.e., the long-discredited Phillips Curve) that moderately higher levels of inflation lead to higher levels of employment. The unemployment rate numbers indicate that the United States is now at what was traditionally considered full employment — yet the number of people working as a percentage of the work force is close to a three-decade low. Employers have not had to raise most wages, particularly for the unskilled, because there is such a large pool of unemployed or underemployed people ready to enter the work force when they see the right opportunity. What you see in the chart above is the dead end the Fed has reached. Here’s why. 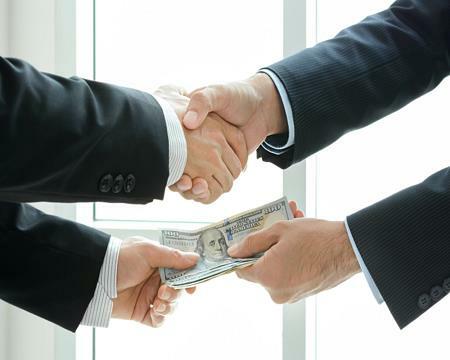 If a political candidate asks you for a donation with a promise that he or she will do some specific act if elected and then fails to do so, should you be able to sue for fraud? That’s just what a Republican donor in Virginia has done, filing on August 3 a lawsuit in US District Court accusing the Republican Party of racketeering in raising millions of dollars based on the fraudulent promise of repealing Obamacare. If a contractor offers to build a new deck on your home within a specific time period and then fails to do, so you can sue for nonperformance. Excuses that his competitors were not co-operating, or that all of his workers did not show up, or he wanted to take a vacation, would probably not persuade the judge. It is well understood that many salespeople and political candidates engage in puffery about what their product does or what they are going to do. But when does puffery go so far as to become fraud? Let’s see how. Venezuela is the latest global disaster caused by socialism. 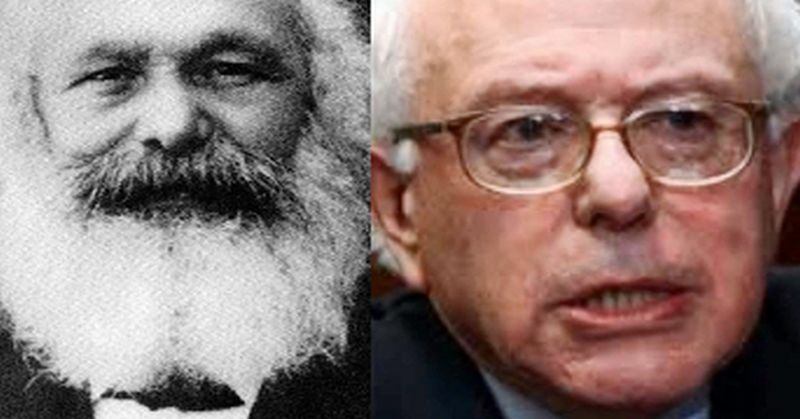 Over the last couple of hundred years, virtually every variety of socialism has been tried — from communism to national socialism (Nazism) and fascism, to various varieties of “democratic socialism” — with one common characteristic — they all failed. Despite the economic failures, loss of liberty and the tens of millions of deaths resulting from the socialist experiments, it has an enduring romantic attraction. Bernie Sanders and millions of his followers call themselves socialists, without embarrassment, claiming that next time they will get it right. Many countries still have socialist parties. 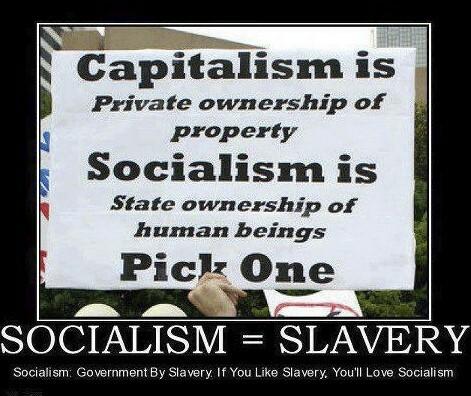 How can so many be so ignorant of the never-ending misery socialism has brought? 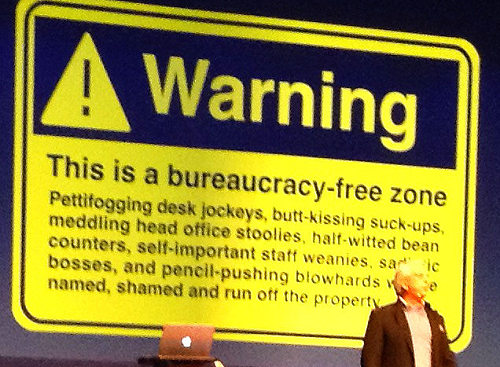 Which government agency has done the most to destroy innovation? The American Founders tried to create an environment to foster innovation, because they understood new inventions would increase the well-being of the citizens. And that is the reason the Constitution enabled Congress to create patents of limited duration. Most politicians say they favor innovation, but at the same time they create regulations, taxes and government agencies that hobble or prohibit that same innovation. In reality, it most often does precisely the opposite. Here’s why. The opponents of capitalism have succeeded in clouding the minds of many, by failing to distinguish between real capitalism and crony capitalism. Real capitalism exists with private ownership, rule of law, free markets, free trade, and limited government intervention in people’s economic lives. 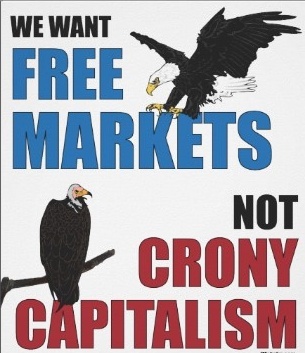 Crony capitalism exists when politicians and government bureaucrats collude with business people to restrict competition and obtain monopoly advantages. When President Trump and others talk about the “swamp” of Washington, much of what they are referring to is crony capitalism. 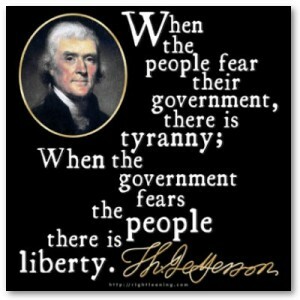 Do you mainly fear government or feel protected by it? The American Founders wrote a Constitution and designed a system of government that sharply limited the powers of the state — because they understood that the greatest danger to the liberty of the people was the necessary evil of government. 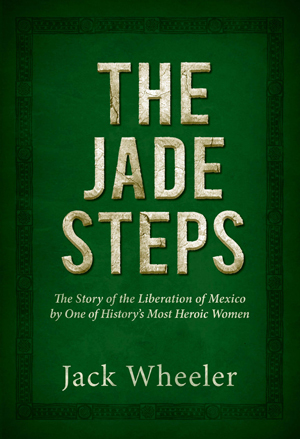 The U.S has succeeded because it was based on the rule of law, with strong protections for property rights, and a judicial system based on due process. There has been a steady erosion of these basic principles and rights over the last 240 years, resulting in the undermining of economic freedom and the loss of much personal liberty. Below are several examples. It was President Trump in Warsaw last week, as noted in the Wall Street Journal, who provided the antidote.